Deciding on your bridal dress can be tricky. You want to pick something that’s catchy but you don’t want to risk the chance that you’ll look back in ten years and wonder what in the world you were thinking! Quite frankly, with plentitude of options and multitude of designers out there in the market – all vying for attention with their swoon-worthy wedding dresses, I can’t blame the brides for turning into bridezillas, when selecting their bridal dress. It’s hard to imagine how frustrating the whole process of deciding, selecting and then buying the right bridal dress for the wedding can be for a gal. But the selection can be made a lot easier and the process can be turned more into fun activity than pure exhaustion if you listen to your heart and pick the wedding dress that’s true to your style and personality. 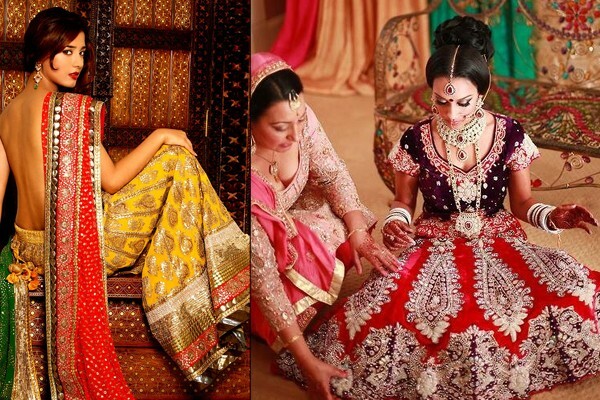 If you are an independent girl who loves to flaunt her natural glamour and high standards, a well-researched high quality Lehenga choli is best bridal dress option for you. A romantic wedding lehenga with a flattering fit and flare by a big name designer is the way to go. 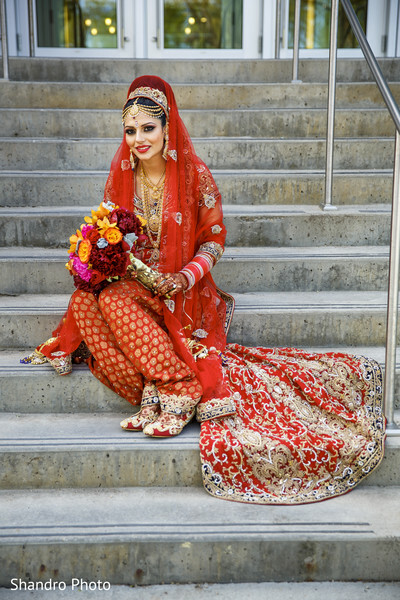 Wedding saree is a timeless style that fits perfectly to an organized, practical, and serious young lady. Not only saree reflects your creative idealist side, it also brings out your sensuous charm in the most appealing and modest way. If you put comfort over style, flexibility over glamour; a classy wedding salwar kameez is the perfect wedding dress for you that you can wear again too! For the stylish fashionista, a dramatic wedding gown with romantic flares and chic details would be the best pick. Go for a curve-hugging fit with an edgy statement to show your confident personality and capture all attention. And finally, if you are the creative, unconventional bride who loves to be different go for a flamboyant wedding sharara with a short and sweet kurti to flaunt your artistic, impulsive personality. After all, you are the bride who wants to feel as good as you want to look good. So you see selecting a bridal dress for your wedding day should not have to be as hard and complex. Now coming to the other difficult part; where to shop or where to find the best wedding dresses for the modern practical bride? While, you can always commute and make frequent trips to the local markets; surveying every nook and corner of the narrow lanes and streets to find the best store for wedding shopping, let me tell you it’s a hard, hard job! I have done it. I have been there. And it’s not a pleasurable experience. So whether you an NRI looking for Indian bridal dresses or a clueless girl in India with wedding on cards, here’s a wedding store online for all your wedding shopping and Indian dresses needs. Craftsvilla is a tasteful online shopping site with a careful and lovely selection of Indian wedding dresses, short kutris, lehengas, salwar kameez and ethnic jewellery online. The merchandise at Craftsvilla is not only high quality but also reasonably priced and affordable. So girls, if you have wedding on cards, do check out Craftsvilla for Indian bridal dresses online at affordable prices before you land into your bride-zilla zone! Thanks Astha for stopping by. First one is super gorg! Oh..that’s my fav too Megha! Cool Outfits for a bride, thanks for the nice collection. Lovely!! 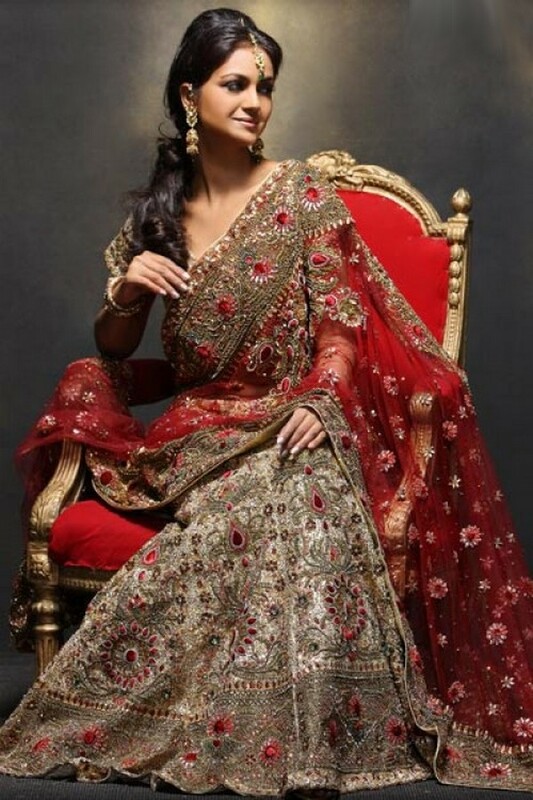 The dresses are simply superb, specially the lehenga choli is beautiful. The color combination and designs are excellent! Keep updating with more such posts!! Someday I would love to have one of these dresses. The dresses are gorgeous and very elegant.